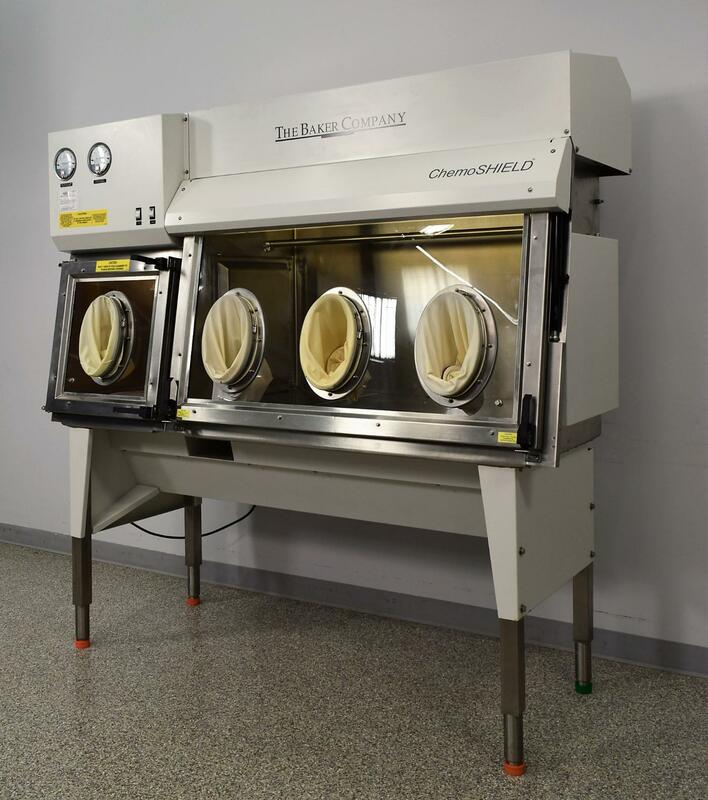 Baker ChemoShield Model 338A000 Lab Glovebox Fume Hood Contaminent Control . New Life Scientific, Inc. Tested & Functional. 90-day Warranty. Our in-house technician inspected and tested this Baker ChemoShield Model 338A000 Lab Glovebox, confirming it to be functional. Technician tested the lighting, latches and sleeves. The sleeves and gloves will need replaced.